DONETSK, December 23. /TASS/. 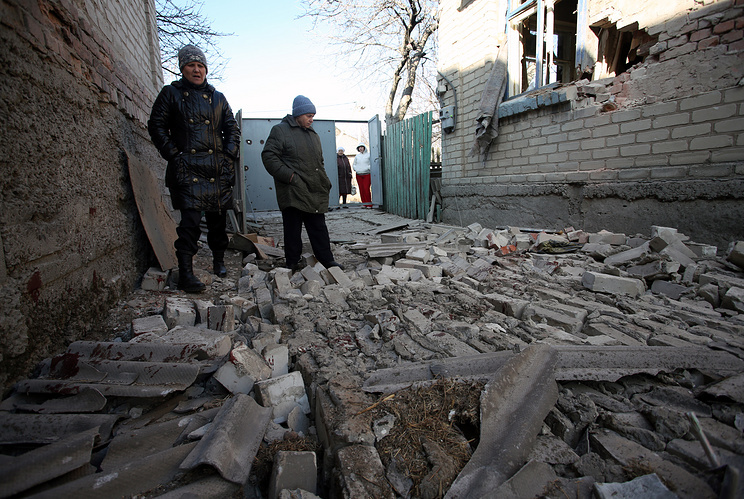 Pro-Kiev armed units have ignored the agreements on a New Year truce and have continued the shelling of populated localities in the self-proclaimed unrecognized Donetsk People’s Republic [DPR], the republic’s operations command staff said on Saturday. "In spite of the agreements on observing ceasefire, Ukrainian army units delivered fire from firearms and automatic grenade-launchers at the areas adjoining the town of Yasinovataya as of midnight," the Donetsk News Agency quoted a spokesman for the staff. "The use of mortars of different calibers by the enemy was recorded in the area of the township of Golmosvsky near Gorlovka," it said. Ceasefire established for the beginning of a new academic year was formally in effect in Donbass as of August 25. It was broadly called ‘the school truce’. The arrangement helped reduce tensions along the Line of Contact at first but the intensity of shelling increased again afterwards. On December 20, members of the Ukraine contact group in charge of defusing the armed civil conflict in eastern Ukraine reached a yet another agreement on declaring ceasefire. The latter took effect at 00:00 hours East European Time on December 23.